This page is dedicated to everyone that has served our country. 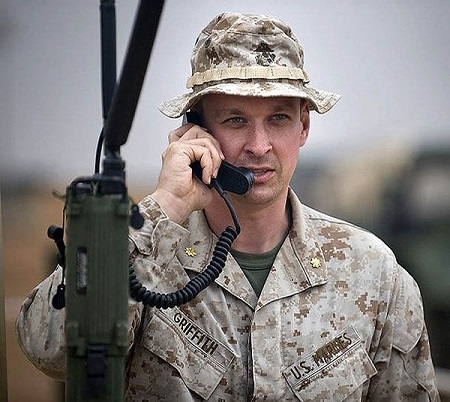 I corresponded with Sam Griffith many times before his death in Afghanistan. We chatted about our service and our love of Mustangs. Take a moment to reflect on those who would willing die for your freedoms and liberty. Remember, there are people that want you to die, just because you have those freedoms. I wanted to keep some of Sam's work and share his helpful nature with everyone, so here are Sam's original webpages. . . Your source for information on Mustang fold down seats. I started collecting information on Mustang Fold Down Seats a few years ago after I noticed many, many, many EBay auctions that were misidentified, misleading, or downright deceptive about the parts being sold. 5 or 10 years ago it would have been no big deal to pick up a fold down seat at a swap meet or even off EBay. 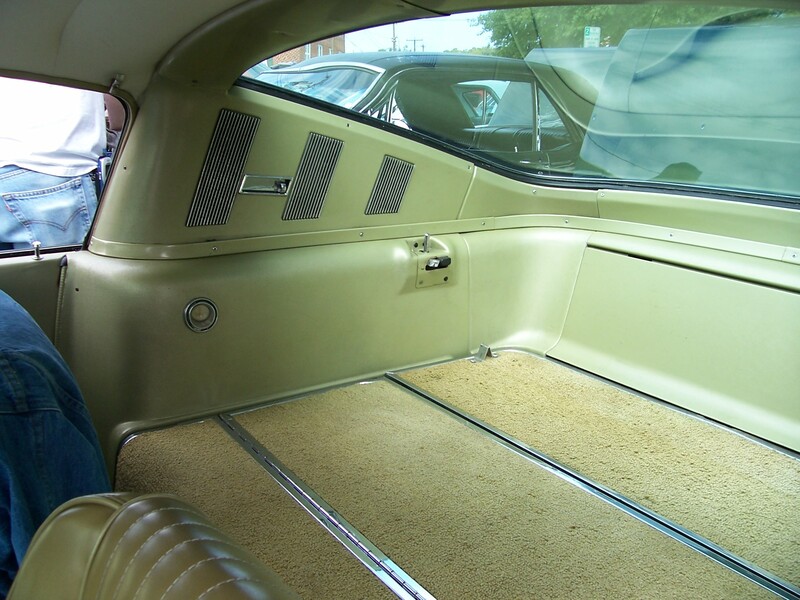 Recently though, as 69 and 70 model years in particular have increased in popularity, the fold down seat assemblies have increased in value as well. I started off with a single webpage explaining the differences and similarities between 65 through 70 fold down seats. I then pitched the idea to Mustang Monthly about a magazine article, they liked the idea, and the article was printed in the June 2006 issue of Mustang Monthly. Since then I've found that the webpage was woefully inadequate due to the amount of questions I was getting. The final straw was a letter to Pony Express in the December 2007 issue of Mustang Monthly in which a gentleman expressed frustration at not knowing what parts to buy to complete his 67 Fastback fold down seat conversion. Thus the birth of what you see here. Over to the left you will see many links. I start off with the basics of how to identify the parts associated with the given year of Mustangs, the specific parts you will need to acquire to perform a conversion, the process I personally use to restore a fold down seat assembly, how much all this stuff costs, my evaluation of how the reproductions parts fit that are available, some adjustments you may have to make to get a fold down seat to fit properly, and some things I've noticed on EBay you need to watch out for. Whether you are in the process of restoring a car that originally came with a fold down seat and just need some help putting it back together, or have a pile of parts and need help completing a conversion, or are in the process of shopping for parts and don't want to be misled, I hope you find the information here to be helpful. I have done my best to present this information as accurately as possible. If you find that any of the information I have here is incorrect, or you did not find the what you are looking for, please feel free to let me know. 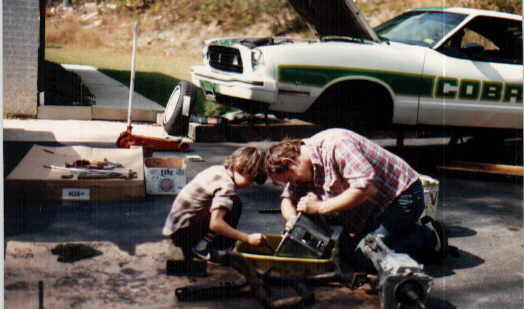 This site is dedicated to my Dad, who taught me everything I know about Mustangs and turning wrenches. Dad's still kicking, and hopefully we have many, many more Mustang projects to do together.